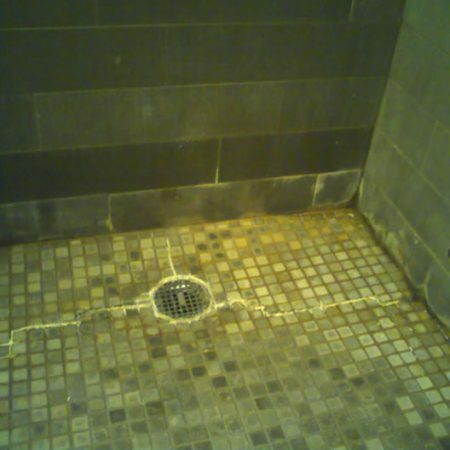 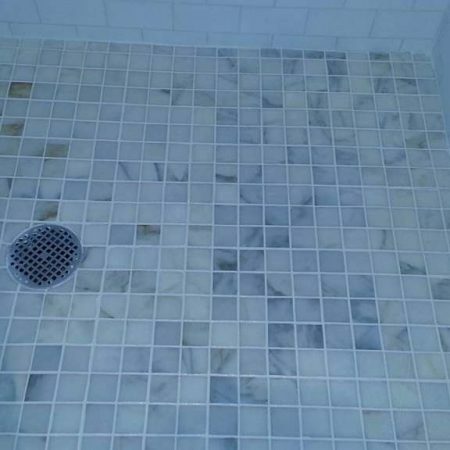 Have a Marble Shower and Grout Problems? 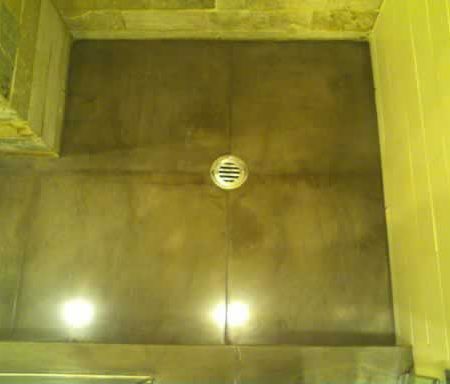 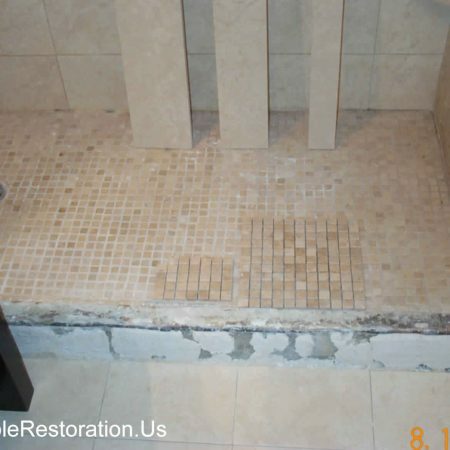 Shower Full Restoration is the Right Solution. 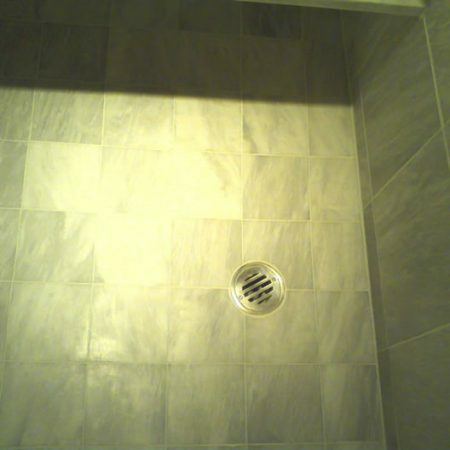 Got a Marble in Your Shower Dirty and Dull? 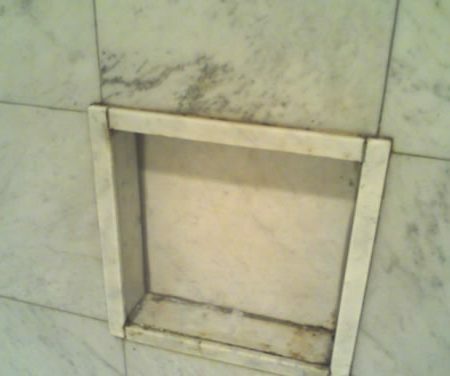 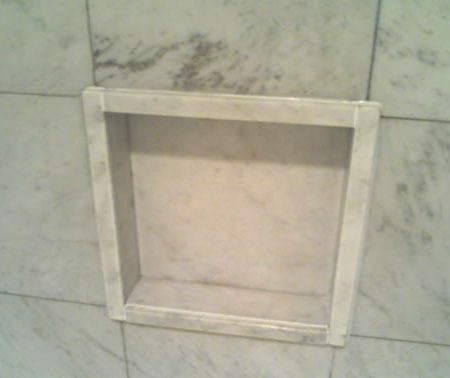 Marble in a shower can get damages easily, especially if it not well cared for. 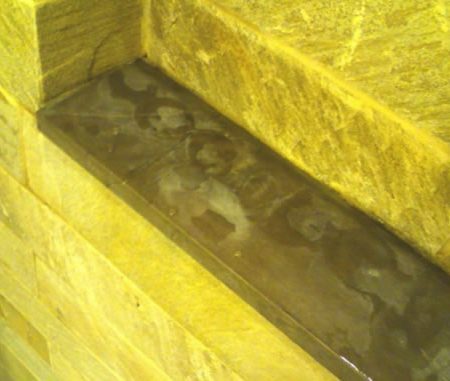 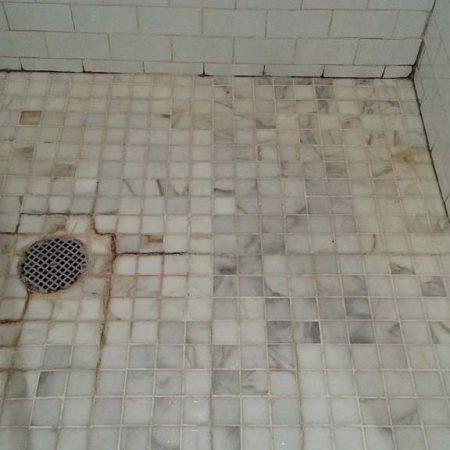 Whenever the marble shows signs of age, they are in need of restoration. 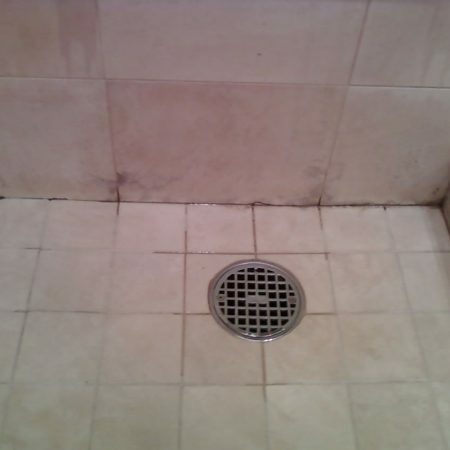 This might be the result of plaque from dripping pipes, the steam water from the shower which dries on its own, unwashed soap splashes, and various other sources of dirt and grease. 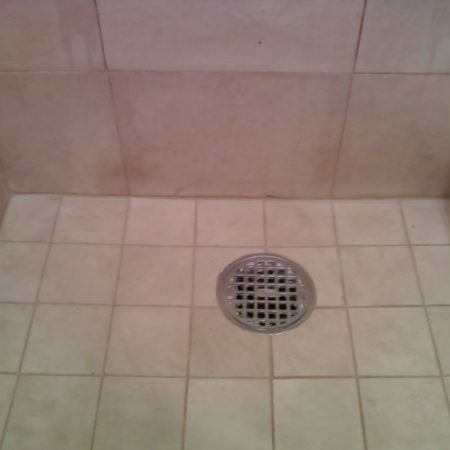 Hard water mineral deposits are white spots mostly caused on shower floors and walls. 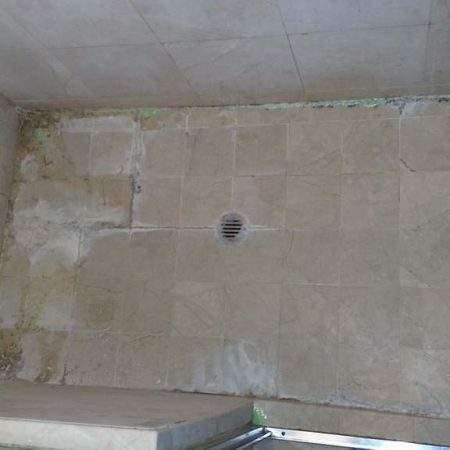 They can be produced by minerals, salts or calcium carried by hard water or lifted from concrete, thinset or other adhesives below the marble surface. 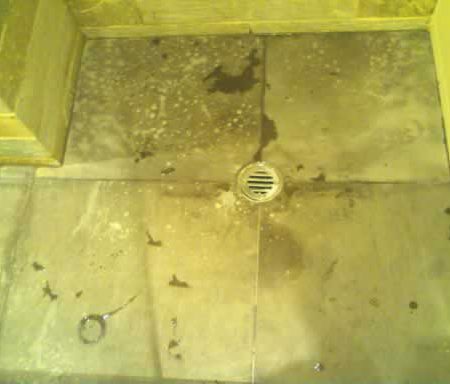 Such minerals are sucking up through the marble body, and then after drying on surface leaving spots and buildups. 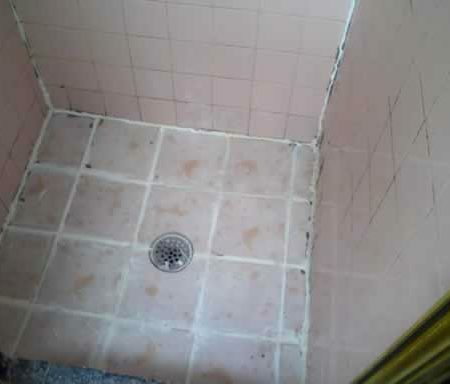 Hard water build ups and soap scum are very tough to remove. 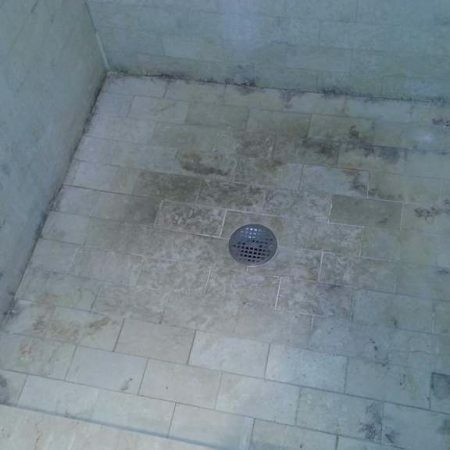 General surface cleaners and soft marble cleaners will not do the job. 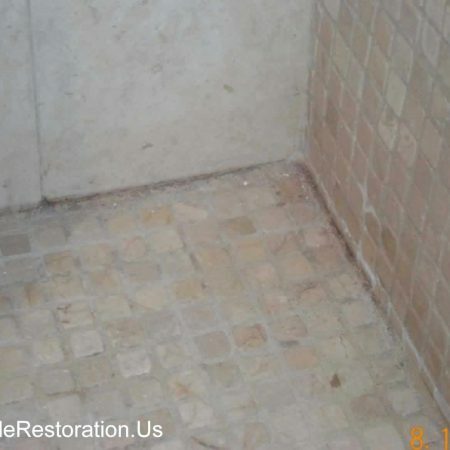 The most bathroom cleaners which capable to remove hard water deposits and soap scum is too aggressive to use on marble and will etch or discolor the surface finish. 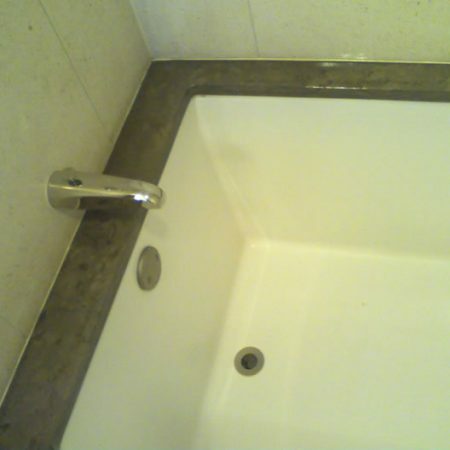 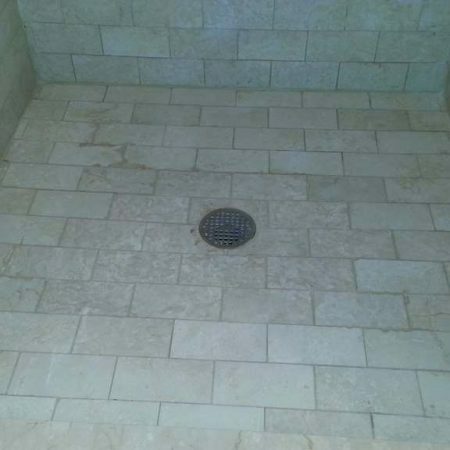 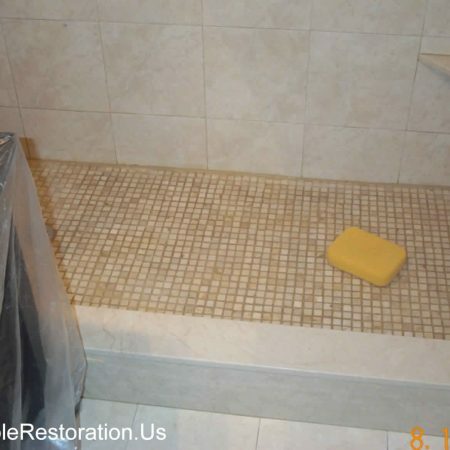 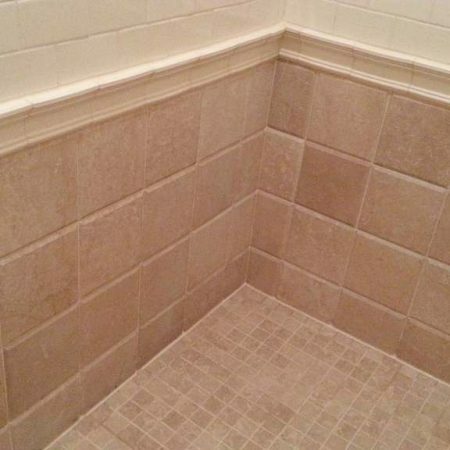 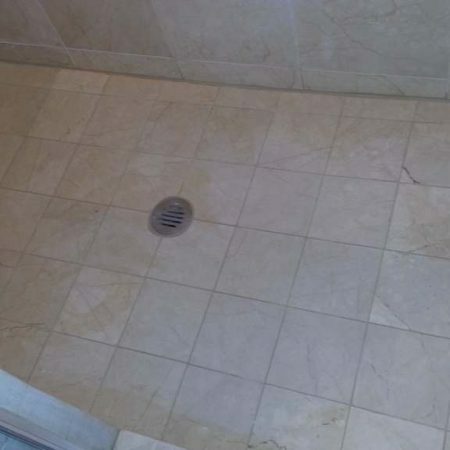 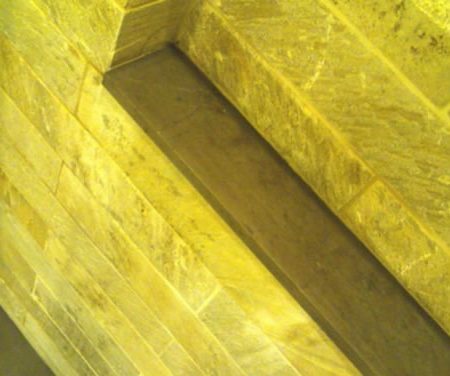 We have the experience and equipment to restore almost any marble shower floor, walls and grout. 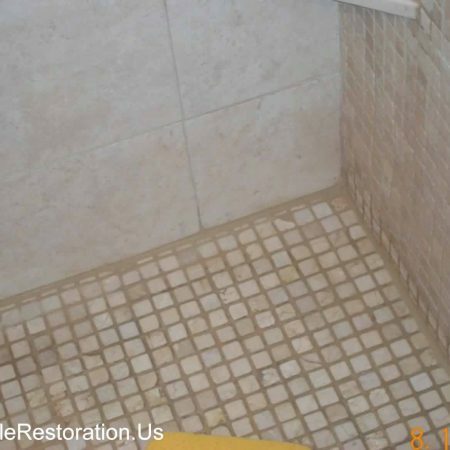 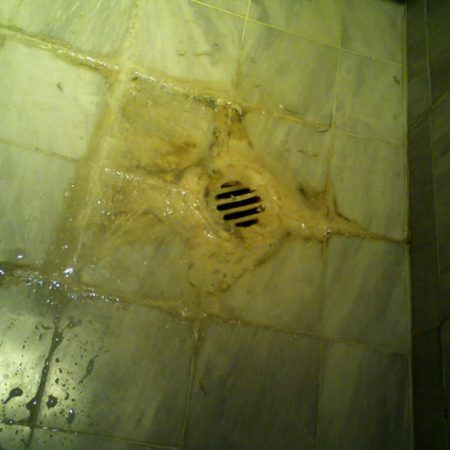 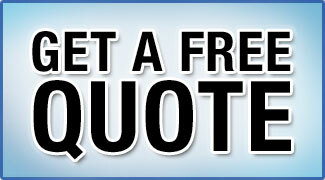 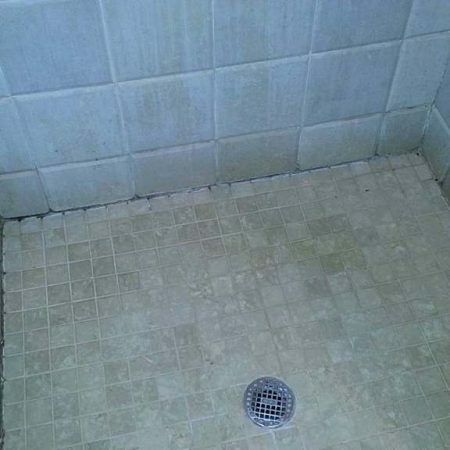 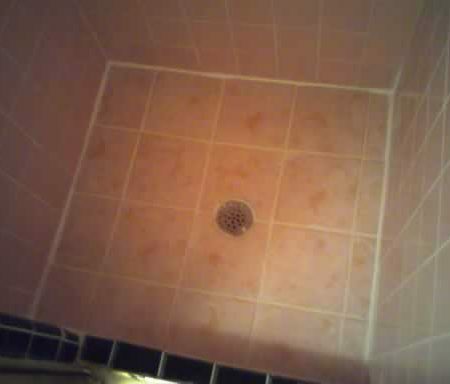 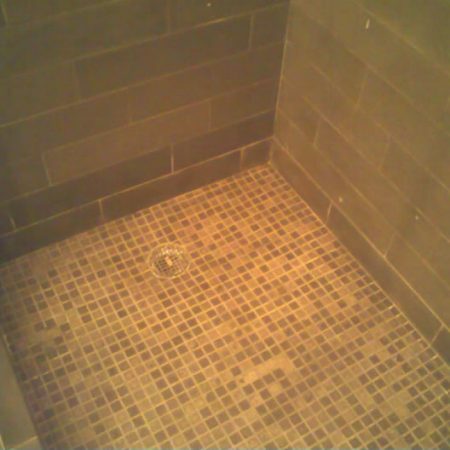 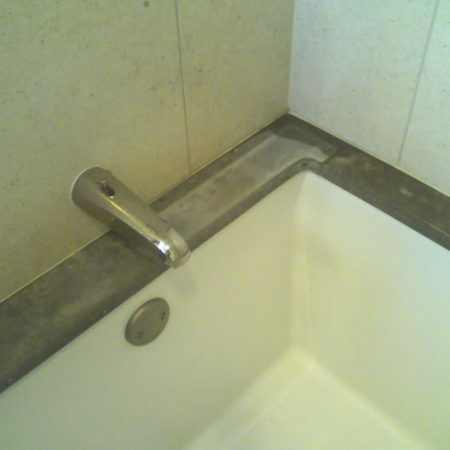 if it necessary we do restoration for cracked or damaged tiles in shower or their replacement.